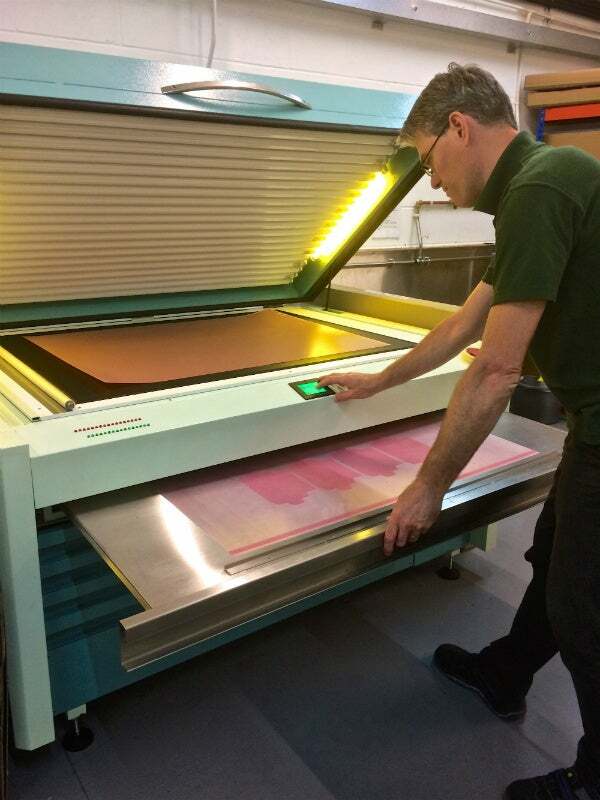 Leading label manufacturer The Label Makers has recently invested in an inkjet imaging film solution from the Dantex Group, replacing its traditional imagesetter. The Bradford-based firm says that the move will increase its capability in responding to increasing customer demand for advanced embellishment options. The Dantex Star Plate product, which fully integrates with The Label Makers’ Esko system, is a digital imaging solution designed for direct inkjet to film, with the ability to output positive and negative films whilst offering imaging from solids up to high-quality halftone screening. Utilising its proven analytical engine ‘Actual Dot’, the system faithfully analyses and reproduces the dots of the RIPped 1-bit data and enables The Label Makers to output high-quality films to produce screen and letterpress plates. Dantex also supply The Label Makers with Torelief letterpress printing plates. The Star Plate package from Dantex also includes a CTF 610, a 24ft wide printer featuring the latest generation of print-heads and delivering a 3.5 pico litre minimum droplet. Alongside Star Plate software, the CTF delivers an inkjet to film solution which is unrivalled in terms of speed and quality. The Label Makers’ origination manager, Robert Norton, said: “We have worked with Dantex for over 20 years and they have excellent knowledge of the Esko system that we were looking to integrate with. The integration works seamlessly and has the added benefit of enabling jobs to be queued and released when the plate is required, thereby optimising workflow. Sales director, Kevin Lyons, added: “With over 30% of our labels having embellishments, we needed the ability to offer our customers a range of emboss, silk screen and hot foiling options. We have a good presence in the high-end wines and spirit market, where we are seeing rapid growth in the super-premium segment, we create a new gin label every three weeks. “Product differentiation remains key for brands with the challenge being keeping one step ahead and delivering maximum shelf stand-out. A fine example of this being a recent label for Asda Wines’ Kakapo wine, where embossing techniques used fully complement the allure and quality of the product, thereby maximising consumer appeal. “We operate in a discerning marketplace, with customers who expect the very best, Dantex’s solution fully meets those demands,” added Kevin. Dantex is exhibiting at Labelexpo Europe 25-28 September on stand 3A20.